Over the last year or so, one of the most important figures in the anime industry has been making interesting moves that most fans have yet to notice. 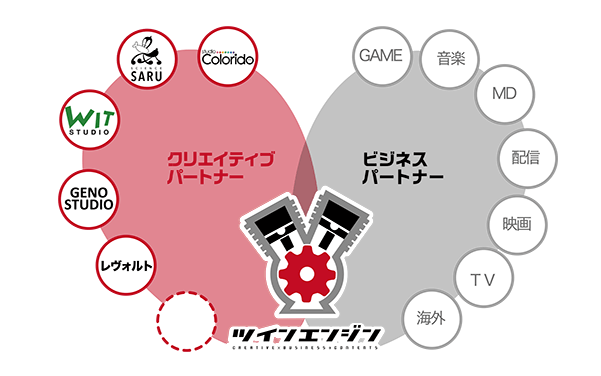 Today we’ll look into one of the people behind most of noitaminA’s celebrated titles and his new anime studios: Geno Studio, Revoroot, as well as the Twin Engine network. Online discourse about animation studios is restricted to about a handful of players, even though the industry is supported by dozens upon dozens of companies that form a thick network. New studios constantly branch off existing ones, whether due to creators chasing their personal dreams or because a company happened to meet its unfortunate end. The latter is where this story begins; as you might be aware, studio Manglobe filed for bankruptcy in October 2015 after a series of rumors that they were struggling heavily. The studio had at the time been tasked with the production of Genocidal Organ, a film part of noitaminA’s Project Itoh film trilogy. The future of the film was put into question until mid-November 2015, when it was announced that the newly founded Geno Studio would complete the film – which they eventually did, as it finally premiered in February 2017. The main figure behind this decision was one of the producers of the film, Koji Yamamoto; after having been involved with Fuji TV’s renowned noitaminA block and eventually become its executive editor, Yamamoto left in 2014 to start his own venture Twin Engine. As you can read on this AnimeAnime interview translated on Manga Tokyo, Yamamoto regretted that on his previous post he had to keep on pushing animation studios to produce high quality work in spite of their harsh situation, so his new goal is to create a network that protects these fragile companies and allows artists to simply focus on the creative process. His Twin Engine corporation has attracted quite a lot of interesting talent: Masaaki Yuasa and Eunyoung Choi’s Science Saru, the always delightful creators at Studio Colorido, and even the hit maker WIT Studio. The PR service RELATION that handles some Fuji TV titles is also part of it, but they’re obviously an entirely different entity which isn’t quite as relevant here. These are all relatively small crews with ties to Fuji TV, which is understandable considering Yamamoto’s origin. While each case is different, similar networks have been popping up around the industry; Ultra Super Pictures (mostly Trigger, Liden, Sanzigen, Ordet) is a more strictly business-minded endeavor, and recently a handful of small studios at Kyoto have been planning an alliance so they stand some sort of chance against the local animation producing behemoth. Anime studios are in a dire situation, so some of them seek strength in collaboration. Let’s return to this particular case. Koji Yamamoto didn’t tackle these challenges alone. Geno Studio’s board of directors includes Hideo Uda (of Studio Colorido) and more importantly, the ex-BONES producer Norimoto Yonai who also recently founded Lay-Duce. Geno has been understandably incorporated into Yamamoto’s Twin Engine networks as a 100% subsidiary…but that wasn’t all. Yamamoto and Yonai then partnered to found yet another anime studio alongside Kosuke Hosogai, of Fuji TV origins. If this is starting to found weirdly incestuous and overly complicated, welcome to the anime industry. This new studio and for now final member of Twin Engine is Revoroot, and its existence was the main reason I decided to write its report. The company had been around for a few months, but it wasn’t until Keisuke “desuran” Kojima announced that he had joined it that people started to notice their existence; desuran is one of the young hopes of the anime industry, having stood out as an animator first and more recently during his excellent full directional debut on ACCA #8. Yamamoto’s claim that he wanted fresh talent to flourish under his new enterprise was no bluff if he’s managing to attract people like him, especially considering someone like desuran can quickly attract many more skilled youngsters. Revoroot has been operating for a few months at this point, with works ranging from simple digital paint duties to production assistance; because of Yonai’s presence they have been heavily assisting Lay-Duce productions like Fate/Grand Order and Sinbad, but you could also find them more recently on Youjo Senki as the 10th episode was fully outsourced to them. 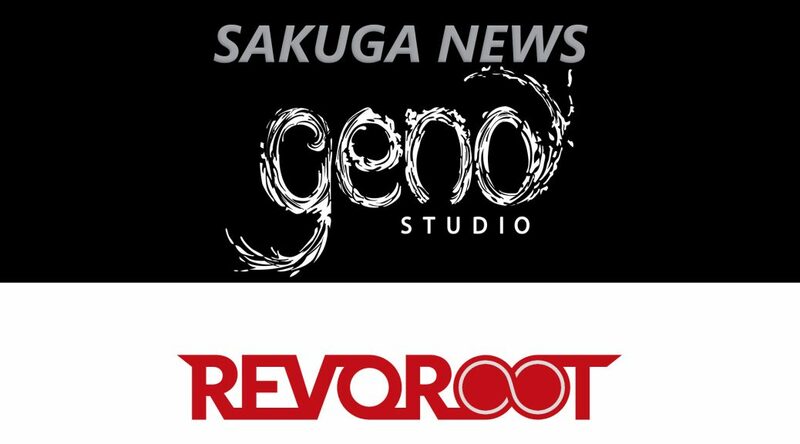 It’s still unclear how Geno and Revoroot will operate, seeing how they’re two studios essentially under the control of the same people; perhaps the former will focus on theatrical productions while Revoroot handles everything else, considering what they’ve been doing recently. Either way, these have been some sadly overlooked developments. Yamamoto’s attempt to shield small studios is laudable in and of itself, and the new studios he’s leading happen to feature very interesting talent like Genocidal Organ’s director Shuko Murase and the aforementioned desuran. Stay tuned for whatever they’ve got in store! Murase definitely deserves it! I appreciate him more as as key animator than on directional duties, but that’s less about his skill and more about his major projects so far not having been up my alley. Yamamoto oversimplified it a bit by calling him “cinematic”, but it’s true that his work holds innate charisma. Even when he’s dealing with material I just can’t find compelling, his work has such strong presence – both as an animator and as a director. I can think of many benefits to the networks, but I still have to wonder, what are the biggest reasons companies form these networks? Also is Desuran going to be a full time employee at Revoroot, because his ACCA Episode was the highlight of the series? The ability to assist eah other production-wise is quite the asset. Pretty much all major studios do subcontracted work for other companies to begin with, but with your own network you know the other members will always be there to lessen your workload – like how Liden supports Trigger. Business reasons can be varied! And yeah, desuran has definitely joined Revoroot for good, not just for one project. Not sure about exclusivity contracts, but that’s his studio now. So Sanzigen has helped out with the CG elements of Trigger shows for example? Is WIT Studio also becoming an independent entity from Production IG or is it still a branch? because it’s strange they have WIT Studio but not Production IG itself. Guess I’ll have to watch Revoroot anime now because I did love ACCA #8 visually ;). Sanzigen does composite and CG work for Trigger all the time, yeah. WIT is in a bit of a special situation there because it still has very strong ties to Production I.G when it comes to staff and is obviously part of I.G Port, but some producer must have found this to be a beneficial deal. They are a much smaller studio that people seem to think so they still fit amongst the rest of the Twin Engine companies.